L-Shaped Living Room – The sightlines in an L-shaped space are often broken up just enough to make for an awkward transition from one room to another. With the right palette, accessories and furniture placement, however, an adjoining living room and dining room can appear cohesive and natural. In an L-shaped space, two areas share a wall. This is normally the longest wall in the “L” formation. 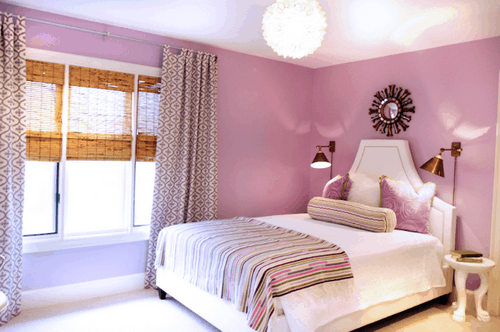 However, that doesn’t mean that you have to paint the entire space one color, as long as the hues blend nicely. Decide on a color for each room. Then choose at which end of the long wall to begin the second shade. 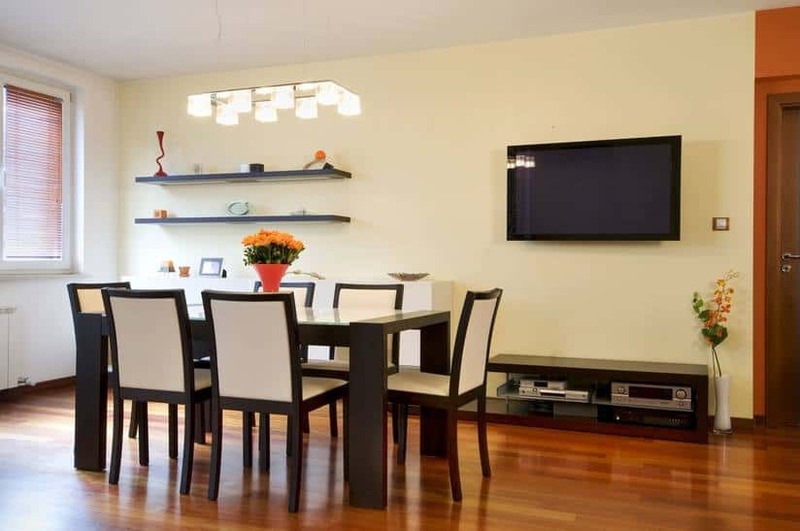 For example, if you’re going with a slightly lighter tone in the living room, you could allow the dining room’s darker color to enter the L-Shaped Living Room along the shared wall. A darker or more dominant-colored wall in any space acts as a feature wall. Your living room furniture is key to good design flow. But it doesn’t have to match. Matched sets can appear too stuffy and contrived. The furniture throughout a home works best when it simply goes well together. Case in point: dark maple mixes nicely with bleached pine or oak because these two types of wood are different enough to show planned definition. Bring them together with other elements; a maple dining room set and a pine entertainment center could both have chrome legs, clean lines and retro, art-deco inspiration. In each space the decor can have its own personality; however, carry the same design language throughout for flow. You might choose solid gray curtains for the TV-watching area, and white drapery with gray swirls in the eating space. Anchor each room using a striped rug under the coffee table and a paisley rug — with a similar palette — under the dining table. If you accessorize with crystal candlesticks in one room, use crystal vases in the other. Set three floor or table lamps in a triangular formation throughout the room for light and balance. Pull it all together with artwork that carries the same theme, from songbirds to city-scapes. If you took away the walls from an L-Shaped Living Room space, the furniture in one room typically would sit at a right angle to the next. Yet the transition from room to room, should feel effortless. You could tuck a sectional sofa into the outer corner. Place two armless, low-back chairs across from the couch, while backing them onto the dining area as a half wall. Back a streamlined buffet against the chairs, on the table’s side. The longest side of a rectangle or oval table should run parallel to the line created by the chairs. As long as there is easy access past the grouping — a minimum of 3 feet or hallway width — this arrangement can provide division, without blocking sightlines.